Green apples are a recognized remedy for strengthening the locks, enhancing hair growth and preventing hair loss. These are rich in minerals such as iron, zinc, copper, manganese and potassium which play a great role in the development and formation of hair strands. Unripe apples contain Procyanidin B2, a natural compound that appears to handle proteins in a way that makes new hair grow, increases hair diameter. 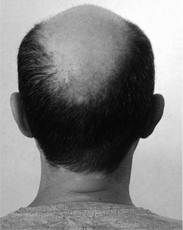 Procyanidin B2 therapy shows promise as a cure for male pattern baldness. Green apples are also a natural remedy for dandruff. They help to moisturize your scalp by providing it with nutrients to keep it moisturized thus keeping off dandruffs. Stinging nettle is one of the oldest treatments for combating hair loss. It also helps in hair re-growth. Nettle leaves are rich in silica and sulfur. It demonstrated that extract of stinging nettle blocks enzyme 5α-reductase, which makes dihydrotestosterone (DHT) which is responsible for hair growth. It is said to be a remedy against oily hair and dandruff. Vitamin B6, B12, C, Calcium pantothenate, niacinamide, biotin, choline bitartrate and folic acid are needed to support healthy hair follicles by promoting good blood circulation and the delivery of vital nourishment, thus, maintaining strong hair. Iron, silica, zinc and chromium are required for hair growth and protection. Copper is used for pigmentation of hair. Its deficiency can cause hair grey or white. Collagen peptide contains all the essential amino acids except tryptophan. 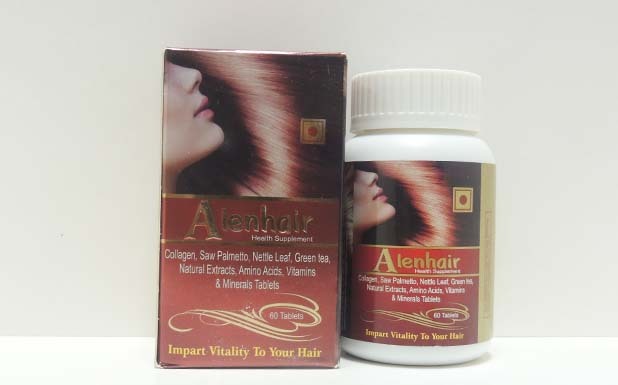 It prevents hair loss, improves hair thickness and facilitates healthy hair growth.